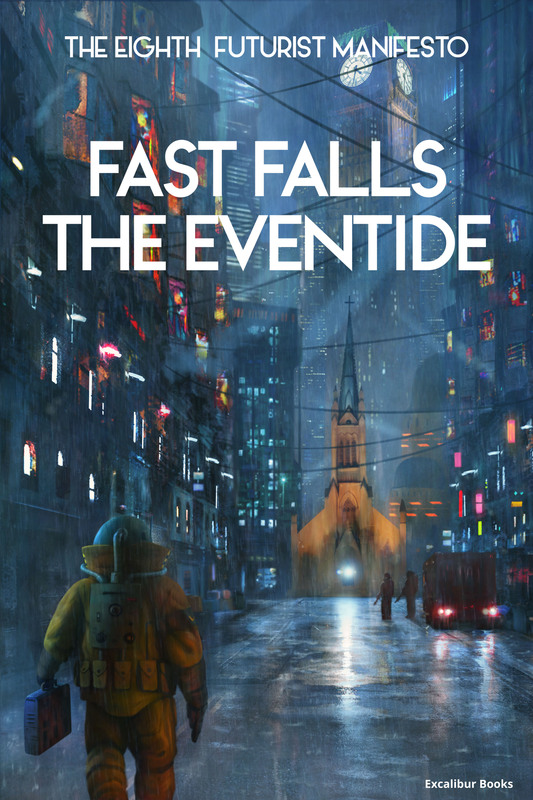 This month we salute the Brilliant Bruno Cerkvenik, who created the stunning cover for The Futurist Manifesto story # 8 – the London-based Cyberpunk thriller “Fast Falls The Eventide”! Bruno Cerkvenik is a digital artist originally from Brazil. Six years ago, he swapped hemispheres to live and work in Ireland. 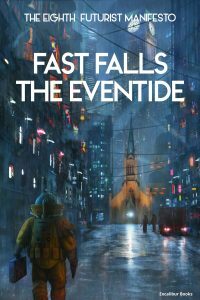 For the ebook cover, Bruno was heavily inspired by the Sci-Fi movies of the 80’s like Blade Runner, Terminator and Escape from New York. The Retro-Futuristic style with it’s high-contrast between light and dark, the so-called “Tech noir”, helped him create the image of a futuristic yet decadent London! This entry was posted in Art & Design, Cyberpunk, Literature. Bookmark the permalink.